Concert: Yeehaw! 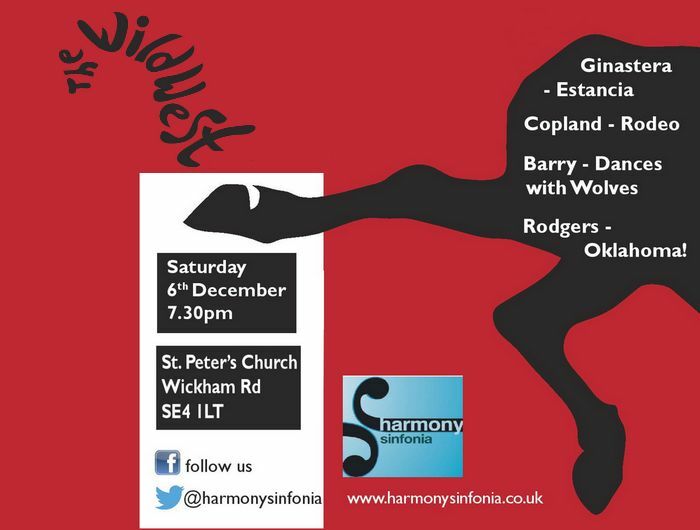 Harmony Sinfonia Ride into Brockley! Anyone who experienced the sheer joy and exuberance of Harmony Sinfonia’s huge ”Last Night at the Proms” Concert in Ladywell is probably still talking about it! The audience in the Albert Hall could not have been more royally entertained! Our children spent the journey home downloading the pieces from Itunes! 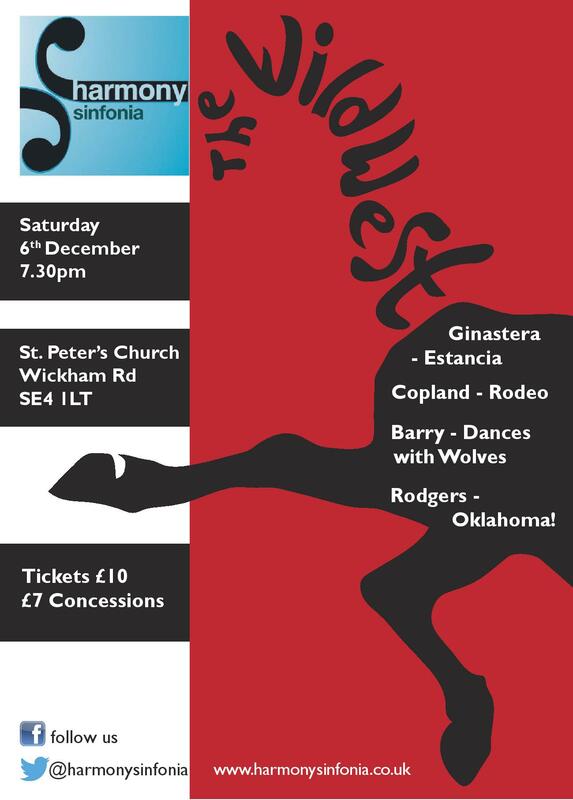 This Saturday, Harmony Sinfonia will be riding into Brockley to perform a rousing Wild West themed repertoire- including Aaron Copeland’s ‘Rodeo’, Richard Rodgers’ ‘Oklahoma!’ and John Barry’s ‘ Dances with Wolves”. So go along and prepare to be transported to the wide open prairies of Big Country! These guys are very special indeed! NOTE: Cowboy boots are optional!